I have an older 3039 with 3038 satellite for cans. Original bill validator went out and I scrounged around for a few bill validators to see if they would work, they do not. I want to make sure I picked the right upgrade validator + correct data and conversion cables. I am just seeking advice from the bright minds who browse this forum. Update: forum wont let me upload pics as easy as it could be... trying gallery now. Are you outside of the US? Vendnet's manuals appear to show that the 3039 could be either an SM2 or SM3 board and 230v. Either way, based off of the information given, you have a couple things going on here. Firstly, the pictures you have show a mars 110v validator and a MAKA 24v validator. Thing is, the harnesses you need depend on what you are going to put in the machine. The MAKA is a completely inferior product and should be thrown away or sold if possible. The mars is a good validator and, assuming it works, should be what you choose to work with. For the 110v mars, you need a 110v power harness (which you have in one of the pictures) and a 110v MAKA to Mars conversion harness (which you may or may not have) OR a 110v harness from the board to the power harness with a data harness. To my knowledge, a 24v MAKA has different connections than a 110v MAKA, so your conversion harness shouldn't connect completely if you have two incompatible harnesses. I don't know if you can connect a 110v power harness to a 24v MAKA to Mars conversion cable. If they do hook up, then you'll have the wrong setup and your validator will never work. What you need to tell us is WHAT voltage validator was in it to begin with. If it was a 24v MAKA, then you either need to replace the harnessing from the board to the validator or get a 24v power harness for a mars and a 24v mars validator. Basically, the voltages have to match up or it simply won't work. If you have a 24v harness in the machine coming from the board, and you connected a 110v device to it, it shouldn't work at all. If you did it the other way around though, you might burn up a 24v validator if it's connected to 110v. I'm only guessing this from burning up a couple coin mechs in the past during my rookie years. That logic board will only support $1bills which I think you asked before. Otherwise you need to give us the model and voltage of the validator you took out. You will have to use a Mars validator with the same voltage as a replacement. Then you will need to get the appropriate harnesses from USI. You are at least lucky that this model allows the install of a Mars validator as a couple of USI models force you to stick with a Maka. Now, if you don't mind a substandard validator you can use a rebuilt Maka but it has to be the same model as the machine had before. This will then simply plug in the way the original one did. Make sure the switches on the validator are on the correct settings and that the coin mech has change. If you still get 2 flashes, then it's likely either a coin mech issue or board issue with the coin mech being the likely culprit. On those machines, when you first power up the machine, the validator will give 2 flashes and the display will read "exact change only" or "use exact change" or something along those lines. After 10 seconds or so, the validator should turn solid red. Sometimes the silliest solutions are things like buying something with change first, then the validator might work. 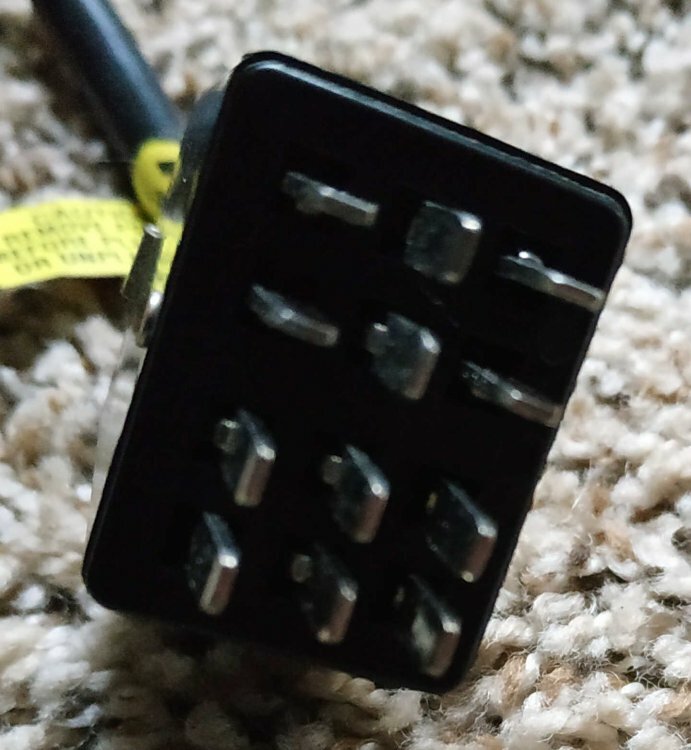 i asked the seller where I bought the 24v maka to mars conversion cable from, and he said to make sure switches for the vn2512 are set to 1, 2, 4, 8 on. The seller also mentioned to have at least 30 coins in each coin mech tube. I set the correct switches and filled up each coin tube with at least 30 coins, still getting two red flashes. I know to close the door for at least a minute, check price of item in machine, put in quarters, select item in vending machine, and wait until it drops... no luck still! I think I am missing another data cable for the upper parts of the vn2512? Or does it not matter since it is only $1 validator for this machine? If I recall properly, I have a machine that is setup the same way so I do believe that you do not need the other harness. In a typical setup that I have, I get the data harness and the power harness both connected to the validator. Since yours powers up, you know it has power. If it is flashing, then it could be that it's not recognized for some reason or it could be a bad validator. It shouldn't matter if you close the door because I don't recall those machines ever having door switches. At this point, I am not sure what the problem is but the easiest solution is to change the coin mechanism and see what happens. What happened to the MAKA that was in it? Did it go completely dead? Was it struggling to take bills? You need to check to make sure the existing harness coming from the board is definitely plugged in. There are, unfortunately, 4 possibilities here. You could have a defective board which I think is unlikely, a defective validator which is very possible, a problem with the coin mech which is possible, or a problem with your harness (ie. disconnected or defective). 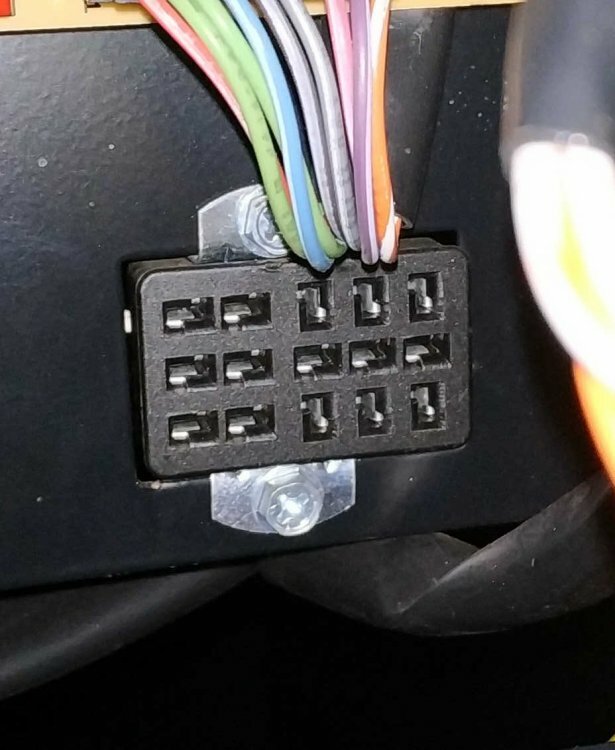 You may want to start by checking the conversion harness and making sure no pins are sticking out which would make the connections faulty. 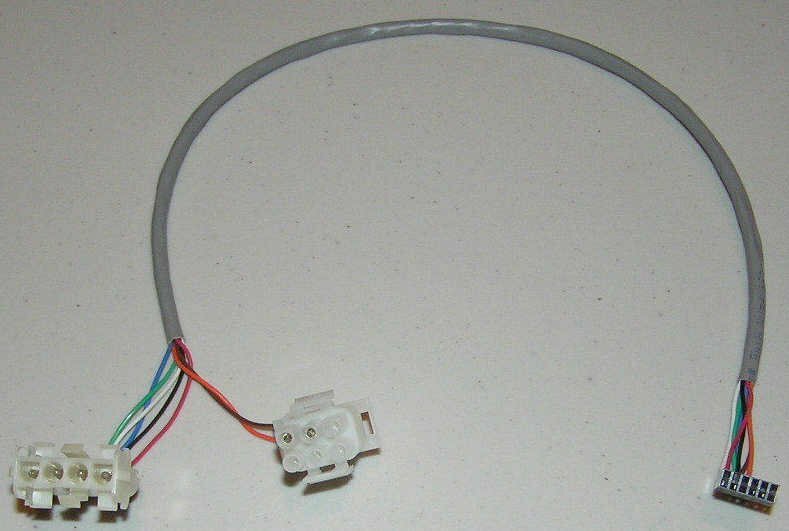 You need to do this mainly for the conversion harness because it's the most likely thing that could have a loose pin if the other validator worked before it stopped. You also need to check the pins in the harness coming from the board that connects to the new conversion harness too. Make sure the plug is definitely plugged into the board well also. The plug going into the transformer should be fine since you get power. Beyond that, you may need to look into replacing the coin mech. 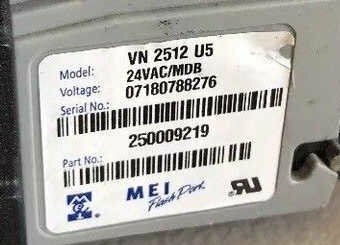 These issues are usually pretty easy to find if you have spare parts but, unfortunately, it is more difficult to troubleshoot effectively if you don't have spare parts. I think you might have the wrong settings on your validator. The harness you're using won't support Credit Line as you aren't using the data harness. Try the short pulse setting and then the long pulse setting like the Maka uses. If none of them work then it's either a bad validator or a bad logic board. If your old validator would take bills in but not give credit and you can't get this one to do that either then the logic board is the likely culprit. At this point, I am not sure what the problem is but the easiest solution is to change the coin mechanism and see what happens. What is the best coin mech to upgrade with for this vending machine? The original MAKA bill validator would power up and accept $1 only to go right back out. If bad logic board, what would be an upgrade for his vending machine? Should I replace it with an exact board, or can I get something newer to accept fancier denomination of bills? Now when I insert above configuration coupon with said sections colored in, validator accepts configuration coupon, validator pushes configuration coupon back out, I take out configuration coupon, I count the bezel lights with ten flashes, and still two red flashes. I also notice that the bezel lights do no flash or even light up even though I colored each option in section 5 on two different configuration coupons. There are no upgrade boards available for this old of a machine. You can get rebuilt boards for it from S. Thomas and Associates. The coin mech must be a Coinco 9302L or a Mars TRC6010. In order to use the coupon on a VN2500 you have to have all of the option switches turned off. You have to have the flashing bezel for it to light up. That is the one that sticks out farther than the VFM-style bezel does. Inone makes a board for old USI machines but this model number isn't listed. You may be out of luck regarding an upgrade. I unplugged coin mech that was in the machine when i bought it used, and this was in the 15pin port right underneath board. Would this have anything to do with bill validator acting screwy? would the satellite for cans need to be connected to board when connecting new validator to it? lol i am vending noob, plz forgive me! my validator harness setup is wrong! 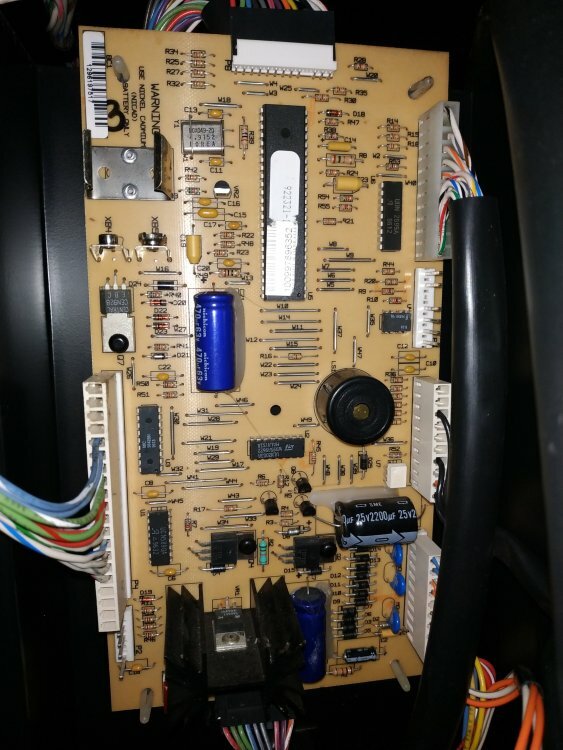 i ordered a complete maka upgrade harness set for mars vn2512 validator where all pins are used from it to a 9 pin male, then 9pin male connects to 9 pin female that splits into exact data/power connectors coming from usi 3039 control board. That's not always true. It depends on the model of the mech, the voltage, and the model of the machine. the above setup did not work either! correct setup that is working for me is to put a 24v 15-pin coinco 9302-LF - it had a 24v 12-pin coinco 9302-L in it already, yet i still wanted to get rid of a few troubleshooting faults in case the 12-pin coinco 9302-L was a replacement for a 15-pin original version... i bought machine used, btw. - complete maka upgrade harness set for24v mars vn2512 validator where all pins are used from it to a 9 pin male, then 9pin male connects to 9 pin female that splits into exact data/power connectors coming from usi 3039 control board. turned machine on, filled up coin mech, and SOLID RED LIGHT! Sorry that you went through all of that. I think there is something wrong with one of the connections on the harness coming from the board. It doesn't matter if it works now though.